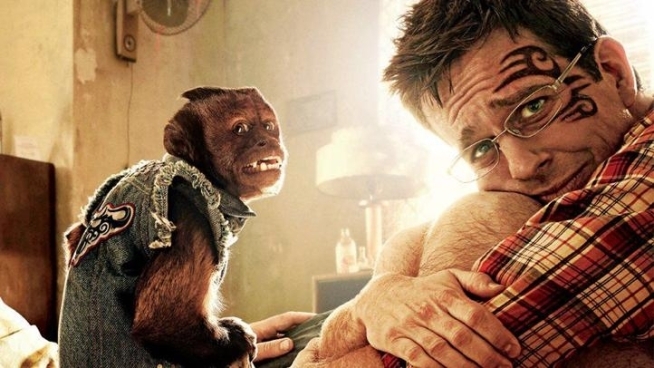 Scott Ross chats with groom-to-be Michael Kuhle about the sequel to "The Hangover." Director Todd Phillips has boldly proclaimed that “The Hangover Part II” will be regarded in much the same way as “The Godfather Part II,” that rare sequel that was even better than its legendary predecessor. You can feel this film straining for those glorious heights, and while it falls short, it’s still pretty funny. Having learned his lesson from the last bachelor party, Stu (Ed Helms) announces to Doug (Justin Bartha) and Phil (Bradley Cooper) over pancakes at IHOP—there will be no shenanigans in the days leading up to his wedding in Thailand and there is no way that Alan (Zach Galifianakis) is invited. At the risk of spoiling the film for you, Alan ends up getting invited and there is a bachelor party that makes 2009’s bacchanal look like a tea party. Structurally, the film is nearly identical to the original—the Wolf Pack is back together, there are stand-ins for the Heather Graham character, the baby, Stu’s missing tooth, Mike Tyson’s tiger…The set-ups still work, the jokes are still funny, but it feels so familiar that you can’t just give yourself over to it if you’ve seen the first film. It’s kind of like reading a Michael Chabon novel—as much as you may be enjoying it, too much of your brainspace is wasted trying to guess which character is going to turn out to be a closeted homosexual. And while nearly every set-up has a direct corollary from the original, the guys in the Wolf Pack respond as though nothing like this has ever happened to any of them before. Look, there’s no doubt that getting waking up facedown in a strange hotel room is disorienting, but if you’ve done it once, you’d think you’d bring a certain level of cool to dealing it with it the second time around. 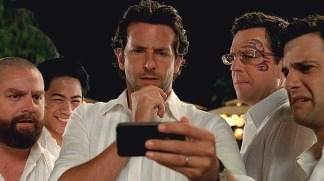 Other than geography, the biggest changes to the “hangover” recipe are an increase of face time for Zach Galifianakis and Ken Jeong, with only the latter serving to benefit the film. Galifianakis is something of a savant, but his flavor of comedy is at its best when it’s on the fringes of the frame—not in the middle. Jeong, however, makes the most of Mr. Chow’s increased presence, making his “Hangover I” turn seem tame by comparison. He’s naked, he’s coked up, he’s recklessly dangerous, completely out of his mind—it’s amazing to watch. Contrary to Phillips’ proclamation, “The Hangover Part II” offers more of everything except laughs (and poor Justin Bartha), but it still delivers enough to make you wonder whether or not Alan gets married in 2013.